Once your order has been placed, you will be sent the invoice for your order shortly thereafter, along with a credit card authorization form. We encourage you to please forward along to us the necessary information regarding payment so not to delay your order being processed. It’s at this point that we also encourage you to forward any artwork that you would like us to use to office@pushpromo.ca. Once payment is received and the order is processed, we will send you an artwork proof as soon as one is made available. Upon review, changes can be made to the proof free of charge (unless noted elsewhere). Through this process we will also confirm the timeline of the order process to you, and ensure that nothing gets printing without your approval. What kind of artwork files do I need for my promotional items? Each case is different, however typically for screen printing we require files in .eps or .ai formatting. For embroidery, .dst files are required. If these files are not available to you, send us whatever you have anyway. We’ll be able to convert your files to the necessary format for a surcharge. Please e-mail send all artwork to either office@pushpromo.ca or to the individual sales representative dedicated to serving you and processing your order. PMS colour matching services are available for many of our products. However, in certain cases a colour matching surcharge may apply in certain situations (of which you’ll be notified). Please ask your sales representative if you require this service. How fast can I expect to receive my order? Production times for your promotional items will be provided to you upon request, as our products have varying timelines. The metric we use to calculate timelines is the number of business days required to print AFTER we receive artwork approval. However, most orders can be completed within a timeline of 2-3 weeks. Is is possible to split my order up and ship to multiple locations? Yes you may. If you require this service, please ask your sales representative. We accept checks and all major credit cards. Please note that all orders require 100% retainer to process. If you wish to pay via credit card, we will provide you with a credit card authorization form to be filled out and sent back to office@pushpromo.ca. Push Promo Inc. respects everyone’s privacy and security on the internet. We are sensitive to any of your concerns, as we want all of our customers and potential customers to be worry-free when placing an order with us. What if I receive more than I ordered? In some cases – depending on the promotional items you’ve ordered – you will receive overruns, which is a common instance in the printed products industry. 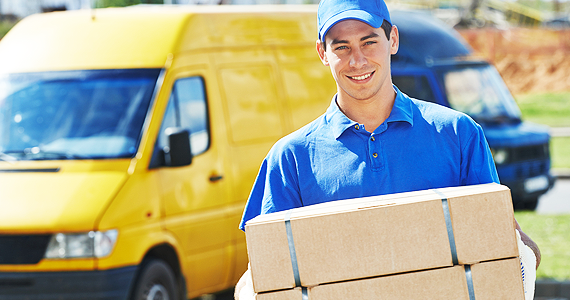 We reserve the right to ship, and invoice 5% over or under quantities ordered on custom printed products. Prior to your order going into production, you may be able to cancel your order. An cancellation request will NOT be facilitated once your items have been printed. You may notice a setup charge is present on an invoice received from us. A setup charge is there to create the actual screen, die or any other items needed to imprint your logo on the items you’ve ordered. If you place an order with the EXACT artwork as a previous order you’ve placed with us, you will not be charged the full set-up fee over again. You will notice on your invoice, in the place of a setup charge, will be a repeat setup charge. This will be a smaller fee than the full setup fee you paid previously. You absolutely will be given an e-proof before your order goes into production. Even if you’ve placed an exact repeat order, you can expect to receive an artwork proof from office@pushpromo.ca or your dedicated sales representative. Please note that your promotional items will NOT go into production until we receive your artwork proof approval. We are able to provide samples of promotional items in most cases. If you request one from your sales representative, we can arrange for a sample to be sent to you. Push Promo reserves the right to refuse to send samples on a case-by-case basis. We intend to provide samples so to make the process easier for those who are considering a certain item or are looking for general ideas. Can I order less than the quantities that are shown? The minimum quantity shown is the required minimum. However, feel free to reach out to your sales representative, or to office@pushpromo.ca with any questions or if you require fewer items than the listed minimum quantity. Much of the artwork and trademarks seen on our website in product images are simply examples of our products and imprinting services. They DO NOT represent endorsement by Push Promo of the trademarks. All prices and product information are subject to charge without notice.